Turning to the police side, I see. Nice one, it itched to be done one day. Looks fantastic, only complaint i have is that the "Dial 9-1-1" part doesn't fit the livery though. What are you using to shot these screens using nicely motion blur? You guys are doing a marvelous job! Ever thought about doing some kind of 240Z? Wow that looks extremely good, it even looks like the SA Flash. I may have to convert that and the Dominator Classic to IV eventually. The stock version is planned? The Flash looks really good. Although I don't know what the moderators would say about the body shells taken from a non-Rockstar games (in this case, BeamNG.Drive), since they are kind of sensitive about this content-based-on-non-Rockstar-Games stuff. Although, I would suggest to change the front to make it look more like an EF Civic, since the normal Covet front is a bit... horrendous. It's not ours, just boywond doing liveries for someone else's carmod. Do not worry, I'm using Thundersmacker's Cheetah Classic which is a very heavily edited Ferrari from Forza, so if it doesn't resemble a real car, you'll be fine to upload it there. 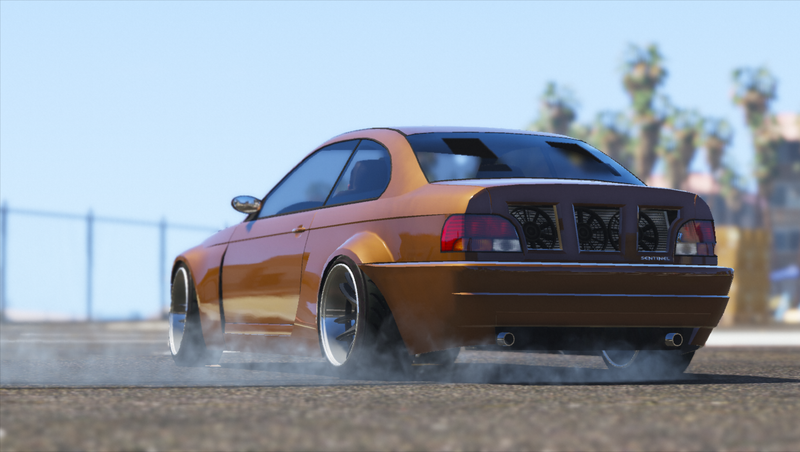 Have you guys thought about working on "porting" over some cars from a game like Midnight Club II? I'm well aware that they're way too low poly to bring in as is but you could use some design inspiration from them and rework a higher poly model (even though they mostly resemble their real life counterparts without much deviation). Loving the work you guys have put in so far; absolutely beautiful stuff looking forward to that Dinka Flash! 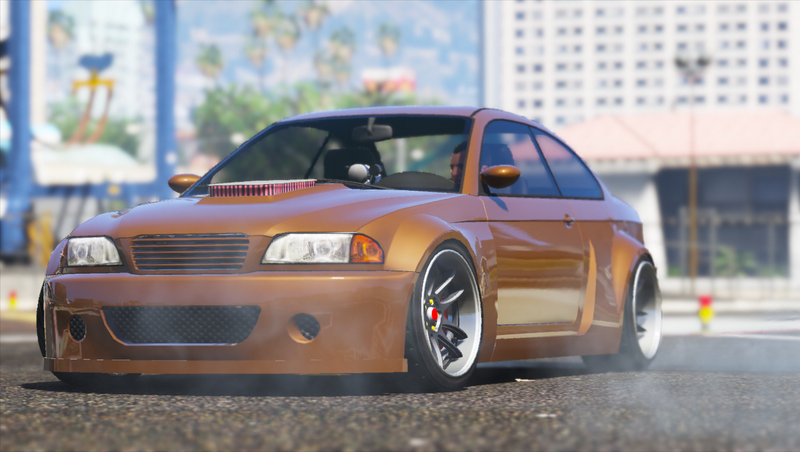 and the Eastriders paintjob for the elegy is amazing too! Any progress to speak of? We have something in the works, but we are on the break right now, gonna back some time after the Gunrunning update. I think this is one of the best, if not the best, lore-friendly vehicle ever made! Awesome job! In connection with the recent events I have a question. Will there be a complete Dominator Classic and Dinka Flash? All of my mods that i've announced/shown will still be finished but i'm not sure about future mods.